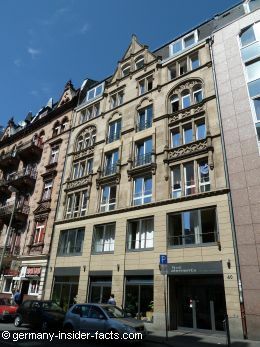 Hostels in Frankfurt provide centrally located, budget accommodation for travellers. 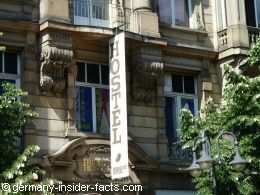 Not only for backpackers, Frankfurt hostels are great places for everyone young at heart. Meet other travellers, join the fun. Why spend a substantial chunk of your travel budget on expensive hotel rooms? After all, you are in Frankfurt for sightseeing, shopping, or visiting a trade fair, so you won't spend much time in your hotel anyway. 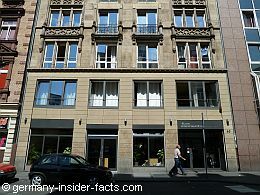 Where are the hostels in Frankfurt, and what do they offer? 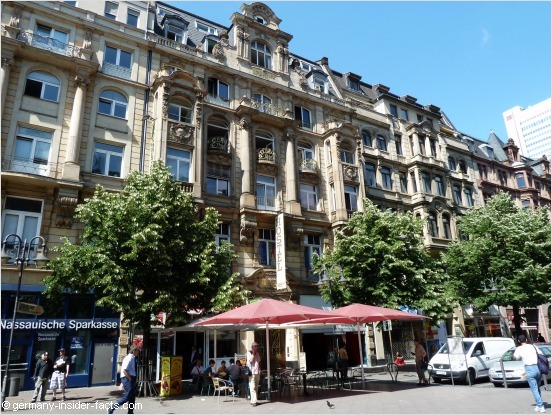 Both hostels I introduce on this page are located close to the main train station, also only a few minutes from the main shopping areas, the old town and major Frankfurt attractions. Well, don't be scared when someone tells you the hostels are in Frankfurt's red light district. Although Kaiserstrasse and the district "Bahnhofsviertel" are often equalised with being the red-light quarter, the scene is only located in a few streets north of the Kaiserstrasse these days. The entire area is totally safe during the day, and even at night, if you use common sense. Get recommendations from the friendly staff at the hostels in Frankfurt about the best bars and places you can go at night, and you'll be fine. 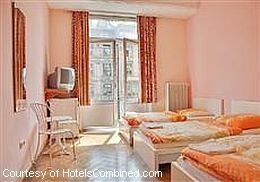 Just opposite the train station, in a beautiful old house at the beginning of Kaiserstrasse, the hostel offers dorm beds and private rooms for you. * Private rooms with one, two or three beds, rooms for four have two bunk beds. * All private rooms have their own bathroom with toilet, linen and towels, TV. * Mixed dorm for up to 10 people, with bathroom, another mixed dorm for 8 has the bath on the corridor. * Female dorms with shower and toilet for 4 or 6 ladies. * Linen and towels are provided for the dorms. * 24 hours reception, you can check-in any time past 2pm, check-out is by 11am. * All you can eat breakfast (bread, rolls, jam, sausage, cheese, cereals, coffee, tea etc) is included in the price. * On Saturday nights free pasta is offered. * Free usage of the kitchen outside breakfast and pasta times. * Free WLAN, internet access spots for 1€ per hour. Perhaps you want to read what other travellers have to say about Frankfurt Hostel first? This hostel is only one block from the train station, Moselstrasse cnr. Taunusstrasse, and close to other attractions in Frankfurt. Located in a turn of the century building, the hostel opened only a few years ago and is fairly new. * Dorms with 5 to 7 beds, lockers and shared bathroom. * Twin / double rooms with shared or ensuite facilties. * Apartments with kitchen for 4 persons. * Top roof shared flat with spectacular views over Frankfurt. * Towels are included in the prices. * Obligatory linen and all you can eat breakfast for a small fee. Breakfast is free when you stay a few days. * 24 hours reception and bar. Read what other travellers have to say at TripAdvisor.